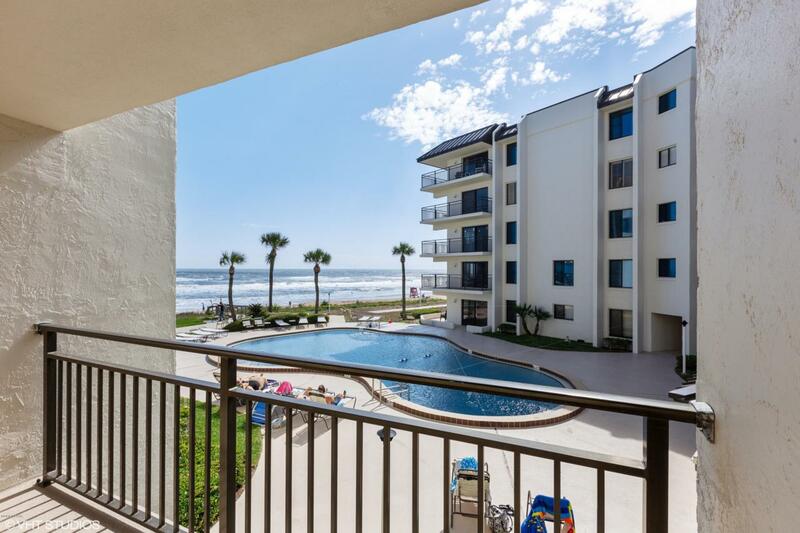 CONDO ** AT THE BEACH! 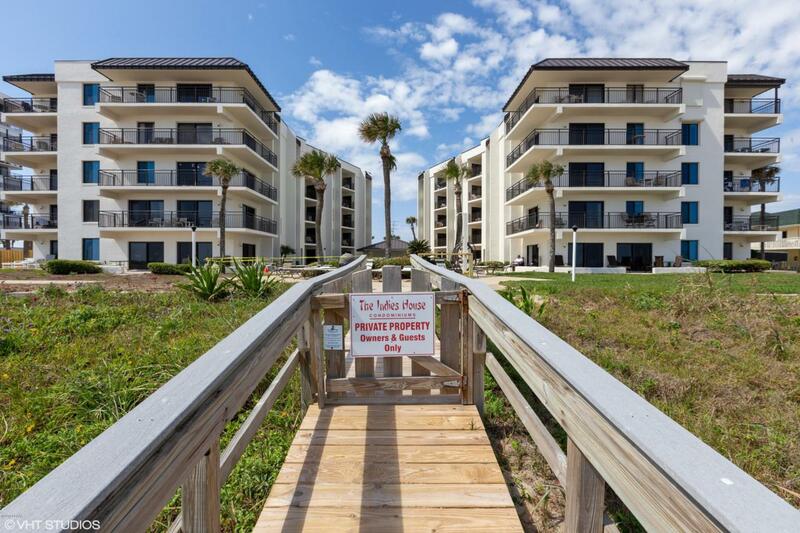 ** With REMARKABLE POOLSIDE OCEANVIEWS and TRAFFIC FREE BEACH *STEPS - AWAY* making BEACHTIME ACTIVITIES A BREEZE! SIMPLY PARADISE! 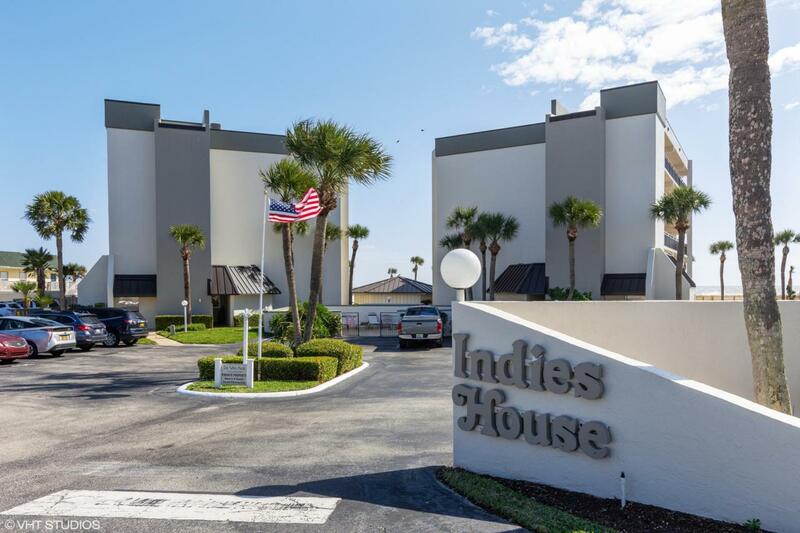 Offering an EXCEPTIONAL location and VIEWS with a NEWER 2017 HVAC system, UPDATED FRIGIDAIRE stainless steel kitchen appliances, and UPDATED HURRICANE BALCONY SLIDERS, with both living room and master suite access. The MASTER SUITE features OCEANVIEWS, a walk-in closet, and a glassed walk-in shower with separate vanity. ENJOY TODAY while adding YOUR PERSONAL TOUCHES! 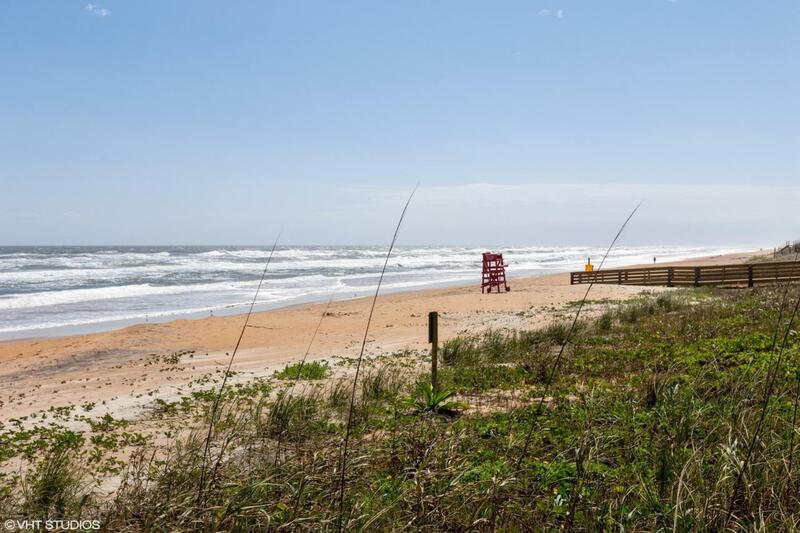 With PUBLIX Ormond Mall Shopping ACROSS THE STREET, local dining favorites CLOSE BY, the traffic-free beach, plus county and state oceanfront and riverfront parks minutes away. STOP DREAMING...START LIVING! All information in MLS is deemed reliable but not warrantied. Listing courtesy of Mike Glisson of Adams, Cameron & Co., Realtors.